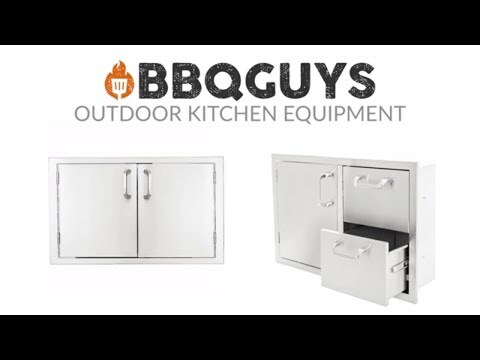 This BBQGuys Double Access Door features commercial 304 grade, stainless steel construction, and an 18 gauge steel frame; external flag hinges for easy removal; and a number 4 brushed finish. Door is flush-mounted. An Access Door is the perfect outdoor kitchen accessory for any outdoor BBQ island. This access door does not include installation hardware or instructions. 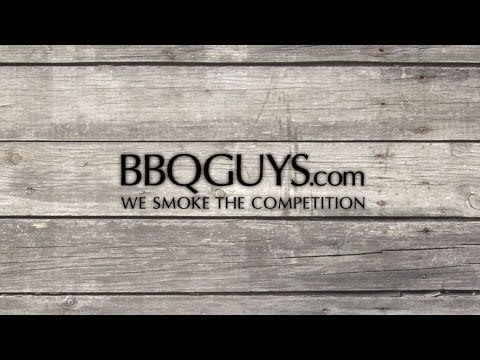 We have ordered several items from BBQguys but really do like their product line for doors and storage. They are reasonably priced and very good quality. Couldn't be happier! We are very pleased with these door. They fit perfectly under the drop in grill and open to give full access to the area below. These doors were the best value that we found anywhere, and allowed us to stretch or outdoor kitchen budget to include a lot of extras. No issues at all with the doors -- dimensions were true, they shipped quickly, and were exactly what we were expecting/hoping for. I was very concerned about shipping damage but to my surprise they got here unscabed. The product is heavy duty, and looks excellent. Got this door to complete my outdoor bar. Doors arrived well packaged. Perfect fit in opening. Since my opening was covered in flagstone the flange was a little short to attach directly to the metal frame so I drilled holes through the rock and attached the doors directly to the rock. Looks great! Very nice product for the price. You get exactly what you see on the website. [...] I will definetly use this site again! great quality---knobs are semi-flat, so they don't get tangled in your clothes when leaning against them. Liked the looks of this door form pictures and it didn't disappoint! Can't wait to finish our outdoor kitchen. 28 1/2" 14 1/4" 14 1/4" 21 3/8"
19 1/4" 20 1/4" 20 1/4" 18 1/4"